The deviantART community is home to a large group of Christian arts whose work is influence by anime. Some of the most talented have graciously allowed me to feature pieces of their art, including Beau Soir, sA-oHime, pancake-waddle and Genevieve GT. Today, I’m featuring another amazing artist: ShouYume. She has many wonderful pieces, including several with Christian themes. The one below was particularly striking to me with its Japanese woodblock style. It is entitled, Simon Peter, do you love me? We hear the Lord’s command; how many of us keep it? How many of us as Christians-that is, followers of Christ-offer others the opportunity to know the Lord through our testimony? This kinda took a good bit of like all day. I fail. Textures, as usual, come from [link] . For more art from ShouYume, please visit her DeviantART page. 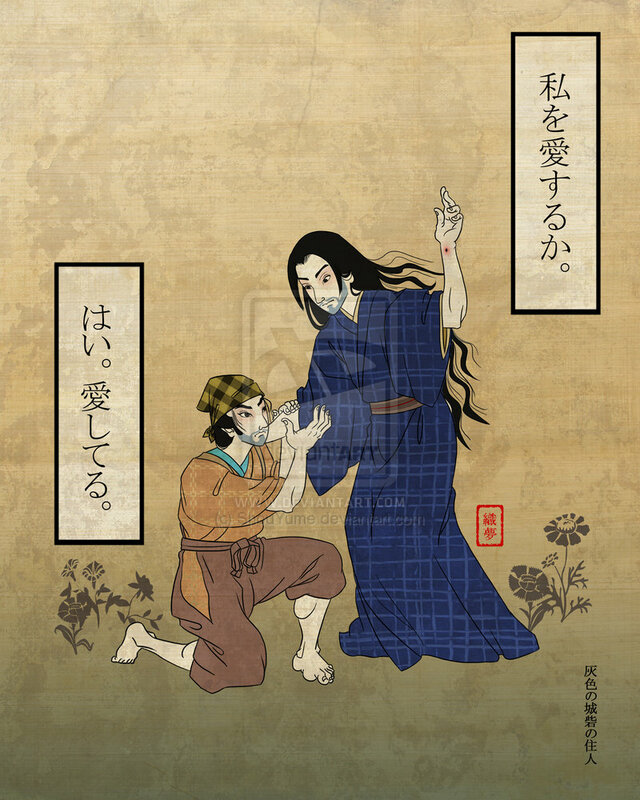 Such a beautiful contrast between the traditional Japanese style and the Christian story. It’s lovely! It is! I thought the piece was amazing. I love it! This piece is different from what I usually see (though I admit, I mostly just look at fan art). I really like ShouYume’s reflection on the passage. It’s so easy to just breeze through those verses, especially now that I’ve read the gospels a few times. It’s good to have them pointed out to me through both art and words.